An evolutionary and demographic analysis of life history variation in Campanula americana (Campanulaceae). In conclusion, these results demonstrate the importance of the maternal and paternal parents and the size of the pollen load on progeny performance throughout the life cycle of the native plant, Campanula americana. 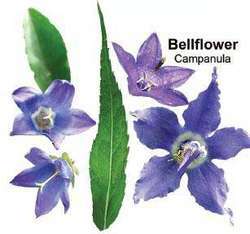 The ecological life cycle of Campanula americana in northcentral Kentucky.